Royal Oaks was very nice. The director took us around and showed us everything. The dining area seemed fine, and the rooms seemed very nice. I have placed my husband in respite at Royal Oaks many times over the past few years. He has dementia and all the staff love him, making him feel very welcome and comfortable there. I can't say enough about the wonderful staff at Royal Oaks. Your loved ones will be well cared for there. I placed my mom in Royal Oaks. I am very impressed. The rooms are nice because they just remodeled the whole facility. They are always doing something, like making crafts, playing bingo, and going shopping. My mother is a resident at Royal Oaks. Our experience has been wonderful. . Mom had a stroke 4 years ago and suffers with aphasia. She did well at home while we were able to take care of her but since moving to Royal Oaks her health and speech have both improved. She is much more active and engaged. Royal Oaks is an assisted living facility, not a hosital or nursing home. We provide all of mom's supplies, it is not the responsibility of the facility as some reviews have seemed to suggest. The staff is always friendly and helpful. We live a good distance away and work in Charleston so sometimes it's difficult to get perscriptions or take mom for a haircut. The staff has gone out of their way to help in any situation. I think the key is to be involved. Have regular contact with your loved one. Ask them questions and address any issues immediately. Either I or one of my siblings visit at least twice a week and talk on the phone in addition to visits. Mom's room is always clean and usually someone will pop in while we are there to ask if she wants to participate in an activity or to pick up laundry,etc Moving mom into Royal Oaks in Summerville was a difficult decision to make but it was definitely the right one. No facility is perfect but mom and our family are very happy with Royal Oaks and the staff. I visited this facility on a tour and the renovations are beautiful. All the staff was friendly and went out of their way to say hello. The residents seemed to be well taken care and was taken part of activities. I have toured several communities in the Charleston area, this relatively small, but very friendly, clean and residents are busy and look well taken care of. Very impressed. I have visited several Resident's here and have been impressed. The staff are friendly and caring. Finishing up major renovations and the Community is beautiful!! This place is unorganized from the administrator to the DON. I've visited a friend in the facility there was no soap in the bathroom, no gloves, no briefs for her. I asked one of the med tech why does she not have any supplies, and how can you'll work in a facility like that. She stated we'll have to borrow from the next resident who has. This is absurd and being that it's a health facility it should always be stock at all times. You find a few of the staff that are professional. .... not the ones in the office though their clueless. I wouldn't bring my dog to stay here! Royal Oaks is under new management. The new facility manager has ushered in a more loving, more professional culture that is quickly filtering down to the staff. After several hospital stays, during which the facility manager numerous times visited and comforted both him and his wife, my father-in-law passed away and now the entire staff has been so involved in caring for and assisting his widow to live her life without him The entire staff has been wonderful! I highly recommend this facility to provide care for your family member. Was not pleased to this facility. Took a tour and walked by rooms that smelled like urine. One resident she was soaked with urine on her pants walking around. Residents I noticed are not payed attentioned to at all. Looks like they have no activities and are bored. The rooms are just throwed together for show rooms. Me and my family wated at least 30 minutes to get a lady from the office to talk to her and take a tour she was outside as of a staff said on a break smoking she will be in give a few minutes. This facility is very unorganized and not in good position as a assisant living. That place is a disgrace. I took a tour you got residents sleeping in the wrong room and obviously staff didn't realize where the resident was. The lady that gave us a tour martina she has no sense of humor and few questions she was lost to answer. Was a little confusing cause she was administrative. Some of the staff I seen was sitting around or chatting in the hall while a buzzer was going off. Talked to one resident and he said people steal money from him and it was a bad place. So no my family member will not attend this place not ran like it should be very lack of communication and not good working together skills. Royal Oaks seems pretty good, and we like them. Michael seems very happy. He gets to take walks outside with some of the other patients that are there. The weather is nice here. They get three meals a day, and he has physical therapy. He is doing fine. The rooms were clean and seem pretty well-kept. They have a theatre room, bingo and if you would need to go to the doctor, they can arrange that for you. They seem to have enough to keep all of them busy. The food seems to be pretty good, of which my brother seems happy. It’s pretty adequate for his needs. Loved one was a resident for a very short time. The administration staff was very unprofessional and was either not knowledgable of HIPPA REGULATIONS or blatantly refused to follow them. While we really liked many of the staff, especially the OT and the PT (think they are from another company) there were too many "it's not my job" from the staff. There was little to no communication between shift changes with staff and one shift always blamed the other. Cleaning staff would say, in our presence, "that's not my job, it's the nurses job." They seemed to encourage the residents to stay in their rooms except during scheduled activities time which were few and far between. Staff would often be sitting down and working on each other's hair while patients were in their rooms alone. On at least two occasions, I personally witnessed a staff member yelling at and being very rude to a resident - happened to be a resident that didn't receive many visitors. Fees for this facility are less than others and may seem appealing but you certainly get what you pay for. I had very high hopes and was extremely disappointed. The decision and process of placing a loved one in a home is hard enough but to witness the many issues that I mentioned proved to be too much. Royal Oaks Senior Care was a nice clean place. It was also a lot quieter than the other facility. The staff was okay. They were friendly; however they seemed to be busy at that time. The seniors there seemed to require a lot more attention. I didn't see too much activity when I went. I just saw them just sitting around. Regarding accommodations, we did see single rooms and double rooms. They were nice and clean. The dining area was okay and the food seemed okay. Royal Oaks was dark and depressing when you walk in. It was a really old building. The staff seemed nice and polite like most of them were; however, we didn't like their rooms. I wouldn't recommend this one. My mother is a current resident and has had a wonderful experience with the Royal Oaks. The staff are very respectful and warm as well as very professional. They is always something going on in the activity room or at the club house. Come see our beautiful new remodel community here at Royal Oaks. 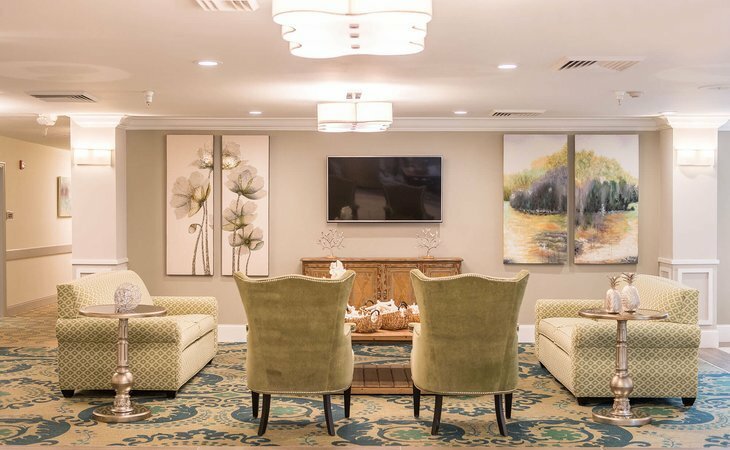 We provides independent living, assisted living and memory care in a warm environment that allows our residents to enjoy an active, happy life. We provide a new beginning by offering a life experience that is rich in activity, freedom, and the kind of personal care that respects the desire to live independently. Our community fosters dignity and supports developing friendships, wellness, and peace of mind. Royal Oaks looks forward to many more years of serving the residents and families of our community. We encourage the public to visit and observe the high quality of life that can be found in a facility. Our home-like facility is comfortable and secure, providing you with peace of mind that your loved ones are receiving the best care available. Royal Oaks provides the services, comfort, and reassurance of a warm, home-like environment that allows our residents to enjoy an active, happy life in comfortable and secure surroundings. We offer emotional support, peer and staff encouragement and personalized programs to enhance the quality of life! What should caregivers and potential residents know about Royal Oaks?